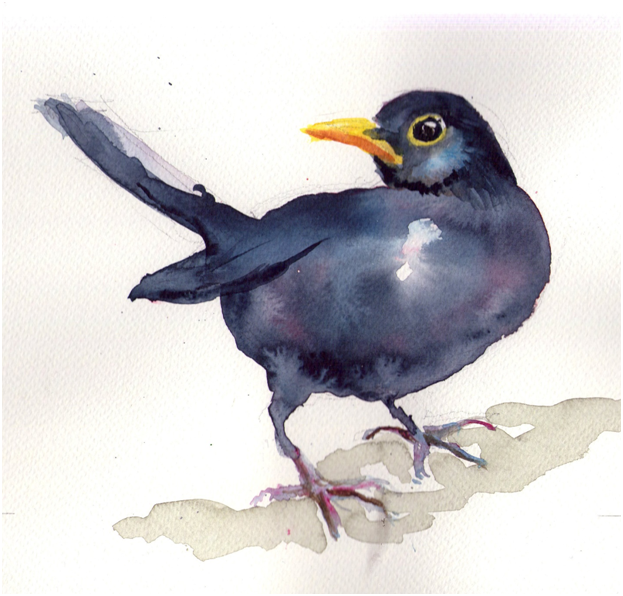 Over the past two years, Cathy has delivered many workshops to local art groups on painting Quirky Birds and Character Cats in Watercolour. Those simple watercolour technique sthat she developed provided some really exciting results for the enthusiastic participants. This weekend is an extension of those workshops! We can promise you some very enjoyable and productive painting! Bring along some photos of your pets! 10.30 - 12.30: Morning session –A demonstration of how to use watercolour freely and let it paint itself. You paint your first birds. 1.30 - 4.00: Afternoon Session - A demonstration of applying the technique to various types of cat. You paint your first cats – bringing out the character of each. Try your own pet ! 10.30 - 12.30: Now we extend the process to other animals: giraffes, elephants, wild life generally. 1.30 - 4.00: Afternoon Session - Your opportunity to apply the principles you have learnt to animals from photographs. You will find it much easier than you imagine.